With the billions of threats trying to gain access to systems each year, an intelligent approach to detection is mandatory. Identify high profile events quickly, without distraction from insignificant details. Respond swiftly to security incidents when they occur. There is no time to lose. Eliminate blind spots in your security toolset that leave you vulnerable to attack. We work with you to build, implement, manage, and run comprehensive security intelligence solutions - without gaps. Our solutions provide analytics to identify and eliminate threats, with real time analysis of network data, enabling automation, remediation and collaboration - helping you stop security threats in their tracks - and respond to incidents quickly - without distraction. Source: said by Kar Leong Tew, research manager, IDC. 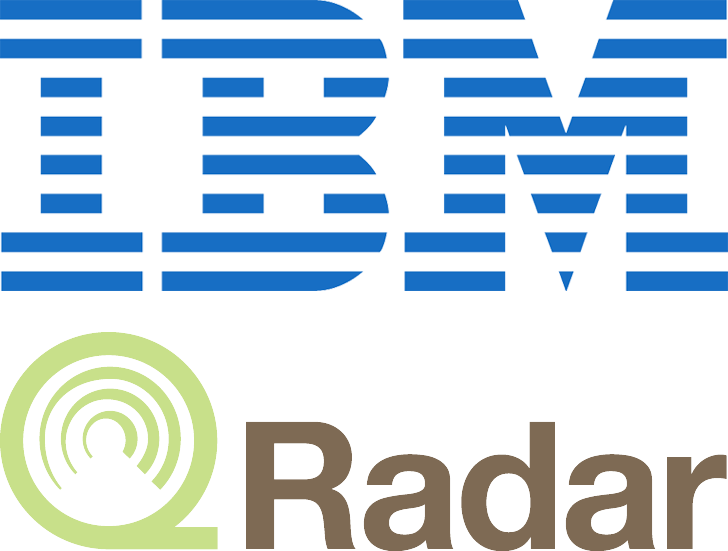 "QRadar offers a flexible and powerful SIEM platform with extensive out-of-the-box content for a broad selection of use cases"
1. 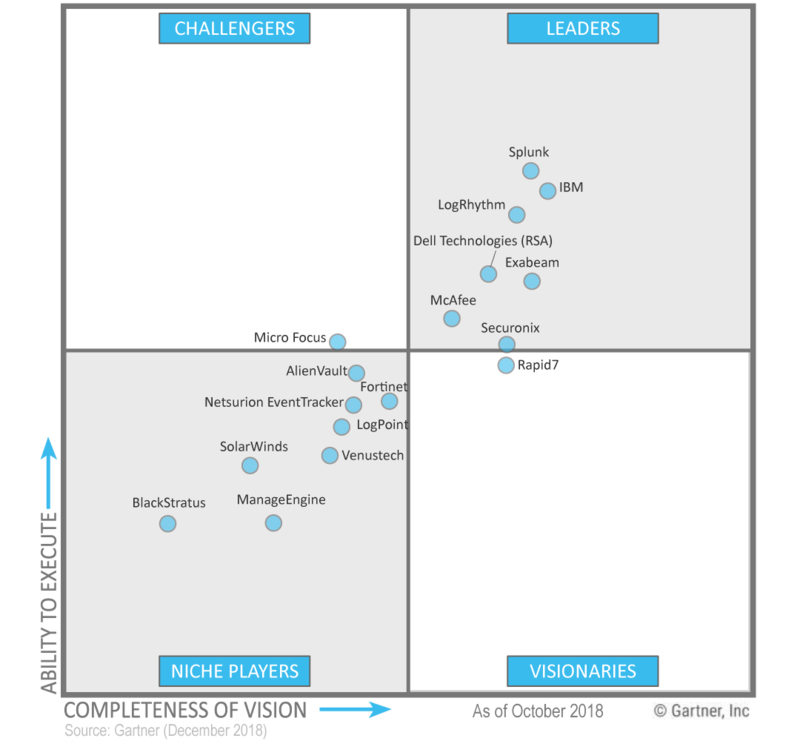 IBM QRadar: Recognized as a leader by multiple independent analyst firms. It detects anomalies, uncovers advanced threats and removes false positives. It consolidates log events and network flow data from thousands of devices, endpoints and applications distributed throughout a network. It then uses an advanced Sense Analytics engine to normalize and correlate this data and identifies security offenses requiring investigation. Streamline attack detection, respond to incidents faster and make security analysts’ jobs easier. Eliminates alert fatigue and expose critical threats faster. 2. Splunk solutions allow you to quickly detect and respond to internal and external attacks. 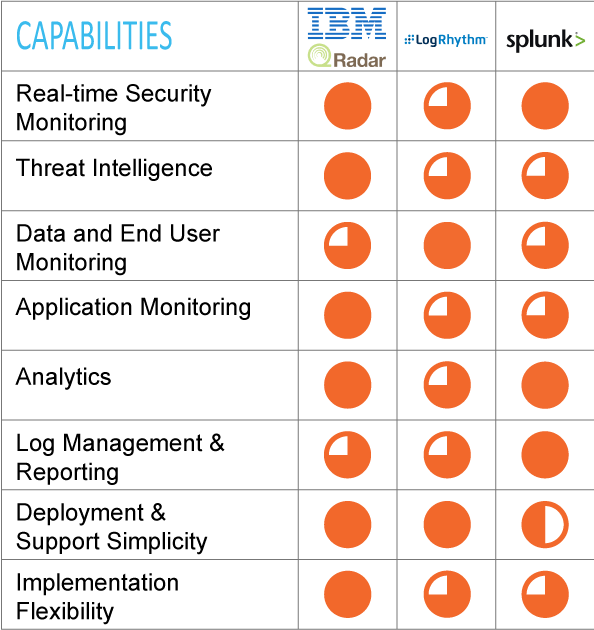 Splunk Enterprise Security streamlines all aspects of security operations. Splunk ES is a SIEM that provides insight into machine data generated from security technologies such as network, endpoint, access, malware, vulnerability and identity information. Splunk ES provides predefined dashboards, correlation rules, searches, visualizations and reports to support real-time security monitoring and alerting, incident response, and compliance reporting use cases. Splunk can be deployed on-premises, in public or private clouds, or as a hybrid and are available as SaaS offerings. 3. LogRhythm empowers organizations on six continents to rapidly detect, respond to and neutralize damaging cyberthreats with Threat Lifecycle Management technology. The LogRhythm TLM (threat lifecycle management) Platform unifies data lake technology, machine learning, security analytics, and security automation and orchestration in a single end-to-end solution. Combining artificial intelligence, advanced analytics, and security automation and orchestration in a single end-to-end solution, LogRhythm serves as the foundation for an AI-enabled security operations center that combines people, process, and technology.